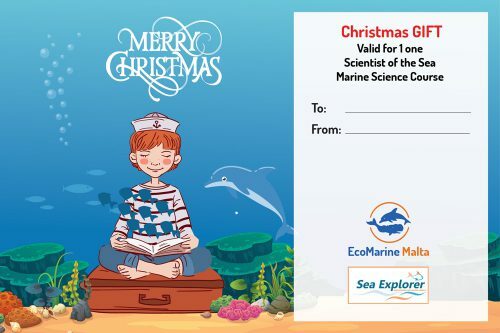 Give your kid/s a special gift this Christmas. Give a unique and unforgettable experience. Buy a voucher now and save 20%. You will receive at home the personalized postcard with the name of the sender and the receiver. Then you can choose the date of the course from those proposed for the whole of 2019. Winter can be educative but also fun . 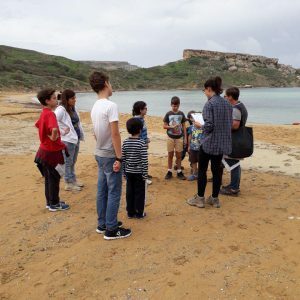 The Scientist of the Sea, Winter Edition takes us to explore a few of Malta and Gozo’s wonderful beaches. What can we find on our sea shores? What is Posidonia Oceanica? Are there whales close to the Maltese Islands? How deep is the Mediterranean Sea? How is litter affecting the marine ecosystems? If you children are interested in finding an answer to these questions and many more, than this is the right course for them.